After six years of research Alethea “Lee” Connolly has published her book on “forgotten trailblazers” in early 19th Century Central New York. 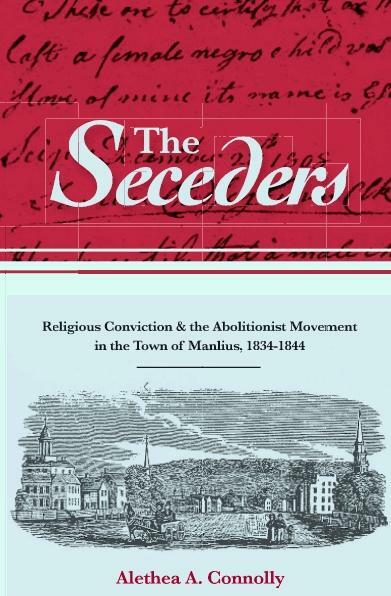 Connolly will present her research on her book The Seceders: Religious Conviction & the Abolitionist Movement in the Town of Manlius, 1834-1844 at 2 p.m. Saturday, July 26, 2014 at the National Abolition Hall of Fame and Museum at 5255 Pleasant Valley Road, Peterboro NY 13134. The public is encouraged to attend. Admission is three dollars for adults and free for students (K – College). The National Abolition Hall of Fame and Museum, as well as the Gerrit Smith Estate National Historic Landmark and the Peterboro Mercantile, is open from 1 – 5 pm on July 26. 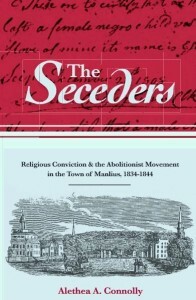 For more information, contact www.nationalabolitionhalloffameandmuseum.org and 315-684-3262.